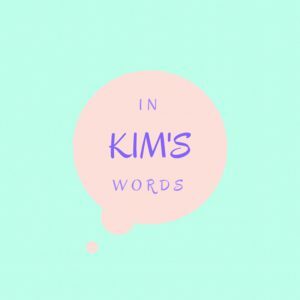 I’m Kim, and I’m trying my best to navigate this crazy land of adulting. I’ve started this blog because I believe that all of our stories are important, my story is the one I know how best to tell, and I’ve been told many times that my story and my insight helps people (and I’m way into helping people). I write about many things that have touched my life, and my goal is to help enrich your life with my stories of both success and failure. Close to my heartstrings are the following topics, which I will explore with you: adoption – being adopted, being a birthmother, and starting a family after relinquishing a child; being married (I’m newly wed and excited to share my experiences as our marriage grows and change! ); dealing with debt; handling mental illness; and politics and how it affects us all. I am an adopted person: I was abandoned as a baby and adopted as a child. I had the good fortune to be taken in by my incredible and loving grandparents (called “parents” going forward), and to be involved in the adoption process. I didn’t really have a choice, but my parents included me in their decision to legally adopt me by having discussions with me and listening to my opinion (which was “YES PLEASE ADOPT ME!!!”). I love my parents, and I often forget that they did not biologically produce me. I have a friendly relationship with my biological father, my parents’ son. We love each other, and he’s a wonderful person. I regret not being closer to him, both in spirit and in proximity. I have severed ties completely with my biological mother. I tried, multiple times, to foster relationships with her – first as mother/daughter, and again as friends. But she lets me down and hurts me every time I open the door to her, so I’ve closed it and installed numerous locking mechanisms to ensure it remains shut. I am a birthmother. I relinquished my parental rights to my first child four days after her birth in 2007. And it has haunted me since. I was abused, manipulated, lied to, taken advantage of. I thought adoption was a beautiful, warmhearted thing, so I leaned on it when I was left alone and pregnant at 19. I had no idea how ugly and painful it could become. I constantly evolve based on new information. I consistently strive to be better than the person I believe I can be. I continue to grow. I see knowledge and truth. I believe in justice, peace, and kindness. And I write about all of it. My interests and knowledge are broad, I love to write and share myself and my insights, and I’ve heard that I write pretty okay. I hope you enjoy.